This year, Mitsubishi has released two new "Diamond Series" 1080p projectors at two different price points. Their flagship model, the HC7000, was reviewed earlier this month, and is a good choice for dedicated dark room home theater. Now, the HC6500 has arrived, and brings with it solid performance at a lower price. High lumen output, a very sharp picture, and great shadow detail make it a good performer with HD film and video, while quiet exhaust and a 5,000 hour lamp life make it a pleasure to use. The HC6500 is for sale through authorized dealers for $3,495 or less. Light Engine: 1920x1080, native 16:9, 0.7" three-panel inorganic LCD with 160W lamp. Connection Panel: Two HDMI 1.3 ports, one YPbPr component input, one VGA port, s-video, component video, one serial port, and a 12V trigger. Lens and Throw Distance: 1.6x powered zoom/focus lens with powered vertical and horizontal lens shift. Throws a 100" diagonal 16:9 image from 10' 2" to 16' 6". Replacement lamp price: $450 retail. Street price closer to $330. compared to the panasonic this seems to be overpriced by about $1,500. Is there anyone who would prefer this to the panasonic ? I just purchased the Mitsubishi HC6500U for $2499.00. I will update on the performance after i get this installed. I paid a little over 2000 for mine. I've not received it yet though. The bulb life is the main reason I'm buying this Mitsubishi. I think the total cost of ownership, if the bulb last 5000 hours is well worth it. Very nice Bill! I enjoyed the comparison. I am still using the ancient Toshiba MT-2 which cost me 10,999 back in the day when there was no HD Content. Do you believe that it does a fair job at rendering 720P ? I am about ready to upbrade as soon as the porjector manufacturers get the cobwebs off of the Lazer projetor prototypes. Would you believe a projector bulb that lasts one million hours? I have seen them. There's no doubt that the Panasonic AE3000 offers alot more bang for the buck with it's features and performance and lower price. There's also no question that the HC6500 is a solid performer that will satisfy most mainstream folks. I'd recommend the AE3000, but if you can find a HC6500 for cheaper (I found mine at Best Buy as a close-out model for $2199) then go for it. I did originally had my heart set on the AE3000, but the price for the HC6500 was hard to resist - including a 3-year no interest they had going. In a nutshell, no regrets as I am really satisified with the performance and it is one of the quietest and lighter projector. 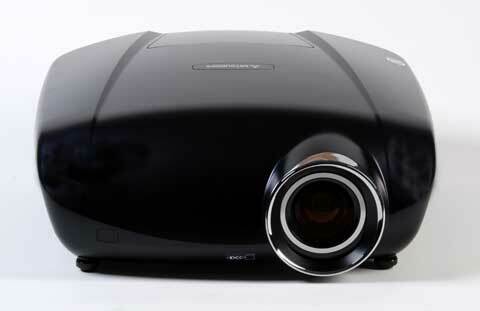 However, I wouldn't pay $3,000 or more for this projector as there are better projectors at that price range. Currently I am projecting a 120" screen at about 14 feet and it is a joy to watch. I am not missing the 120Hz features that are the new trend in LCD and projectors since I use this projector mainly for movie watching. If you watch alot of sporting events it's great, but for movies, it's a no-no. I own the older Mits HC5000 for over 2 years and I have loved it. The HC6500 should be an improvement over my older HC500. The picture is razor sharp and it has a beautiful picture. I'm projecting it onto a Da-lite 106" screen. The picture looked great right out of the box and it is ultra quiet. My collection of 350+ Blu-ray & HD-DVD's look wondeful as do my 1500 standard DVD's. After aroud 3500 hours the lamp started to have difficult startup, but at the same time i got the flashing message stating "soon to replace the lamp". I am now at 4220 hours, picture still perfect, i have bought the new lamp(euro 260), but it is still boxed. 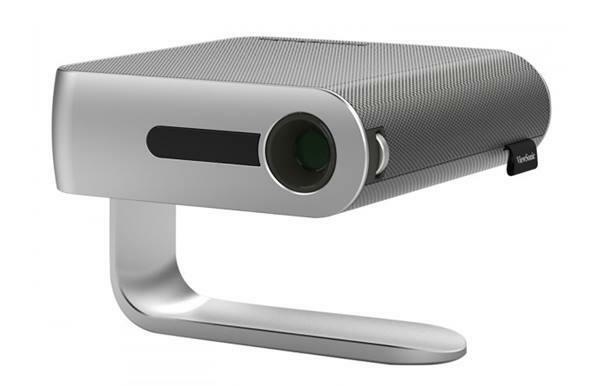 The picture of this projector is still making everyone say "wow" and if the HC-6500U is an improvement, it will be overwelming! $1925 is what I paid FEB09. I've never owed a projector until now and I can say even without a screen and blue ray or HD it's amazing. I plan to paint my room dark gray and buy a Studiotek fixed screen soon along with a Playstation 3 for blu ray. Speakers have come down as well. From what I've read you don't need to spend a lot to get good sound. Can anyone recommend a good ceiling mount for this projector? Just bought the HC6500 at Best Buy. They're discontinuing this model and there is plenty of room to deal. List price in our area is $2499, but they brought it down to $1900. They also knocked $500 of a 92" Screen Innovations Reference Series, so I bought it at $950. Reading the foregoing reviews has me quite excited to see how this performs when it is installed in a couple of days. I've had the mitsu 6500 for about 2 years - performs flawlessly. I was able to adjust everything myself. Many projectors have very limited adjustments to where they mey not work in your room which is why I chose the mitsu 6500. Even DVD images are crystal clear. It has been maintenace free. Mitsubishi knows what they are doing.